Figs are the fruit of the ficus tree, which is part of the mulberry family (Moraceae). Figs have a unique, sweet taste, soft and chewy texture and are littered with slightly crunchy, edible seeds. Fresh figs are delicate and perishable, so are often dried to preserve. This produces a sweet and nutritious dried fruit that can be enjoyed all year round. Here on these page we will see some of the important health benefits of Figs. Constipation is the root to almost all of the stomach issues. By avoiding these issues one can maintain healthy stomach and healthy colon. Figs are the great source of fiber and make your stool softer for easier digestion. Figs or anjeer are considered as one of the best nutritional food in the world because it contains several nutrients which can make this food very beneficial for health. Figs helps in better digestive health, effective in relieving from constipation, and contribute to a better heart health. Taken either fresh or dried, the fig is regarded as dependable laxative on account of its large cellulose content and its tough skin. The tiny seeds in the fruit possess the property of stimulating peristaltic movements of intestines which facilities easy evacution of faeces and keeps the alimentary canal clean. Eating figs provides a significant dose of fiber that can help your bowels begin to operate correctly. Dried figs are loaded with fiber, a single dried fig contains 0.8 gram of total fiber. 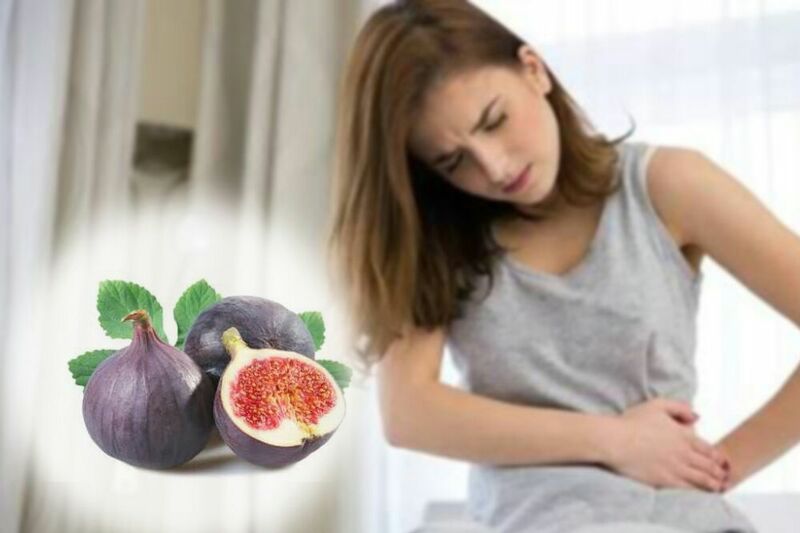 To get relief from constipation boil a few fruits of figs in a glass of milk and drink this mixture at night before going to bed. Here make it sure that, the mixture is warm when you are drinking it. One of the important health benefits of figs is high in natural sugars, minerals, and soluble fiber. Figs are rich in minerals including potassium, calcium, magnesium, iron and copper and are a good source of antioxidant vitamins A, E and K that contribute to health and wellness. Figs range dramatically in color and subtly in texture depending upon the variety. Their unique feature is a little bud-like opening called an ostiole at the top that helps the fruit develop. Their natural sweetness meant that, before the days of refined sugars, they were often used as a sweetener. The majority of figs are dried, either by exposure to sunlight or through an artificial process, creating a sweet and nutritious dried fruit that can be enjoyed throughout the year. 1. Figs are a good fruit source of calcium, a mineral that is involved in bone density. 2. Their high potassium content may counteract the urinary excretion of calcium caused by high salt diets which support the pre-existing good bacteria in the gut, improving digestive wellness. 3. Help to lower high blood pressure. Consuming dried figs can help you meet your daily potassium needs and help lower your blood pressure. 4. Figs are high in potassium and low in sodium, so they are a perfect defense against the appearance and effects of hypertension and acts as a relaxing food which can settle the nerves. 6. 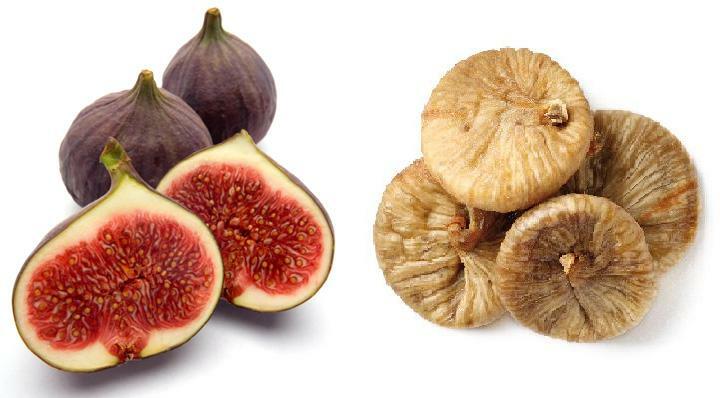 Fiber present in figs is useful to flush out all the harmful toxins from the body including cancer-causing substances. Regular bowel movement and flushing out of toxins can prevent colon cancer. 7. Good for Diabetic Patients: Figs are high in fiber treat that helps promote functional control of diabetes. They are rich in Potassium, which helps to regulate the amount of sugar which is absorbed into the body after meals.